Part 3 - A weekend Away - Concert! All the singers from both Stairwell and Glebe Collegiate gather in anticipation of the performance. Pete and René check out the acoustics from the choir loft. At the concert, the Glebe girl's choir rocked! 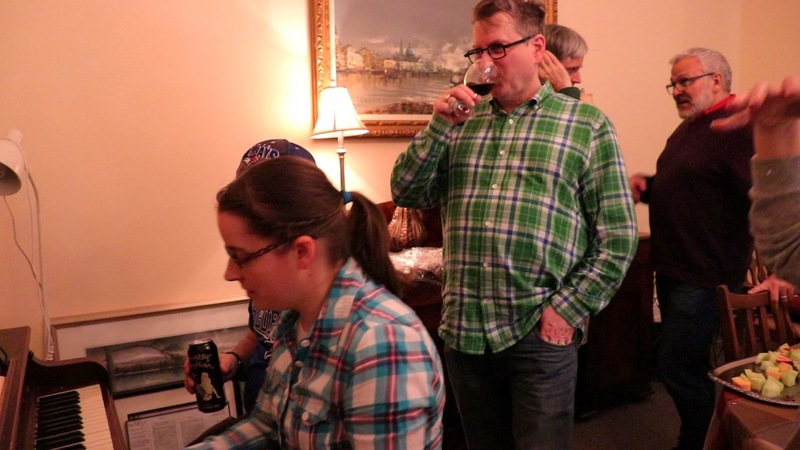 The after party went late into the night throughout many of Galilee Centre's cozy rooms. Here in the porch, Gabe regaled the group with tales of Chanticleer. Kristina proved to be a terrific party pianist. Random singing and carousing ensued. Denyse and Andrew toast the concert and say farewell for the summer holidays. 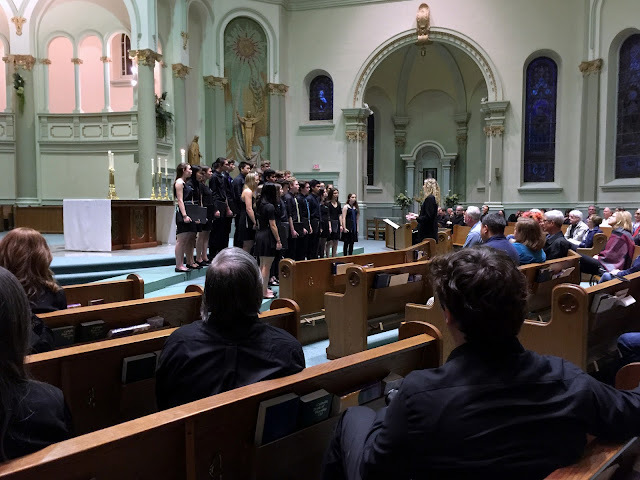 "The Choral Workshop held May 4th to 6th at The Galilee Centre in Arnprior was a true highlight of our 40th anniversary season. The fact that we were "in residence" helped promote those personal contacts and friendships so essential in singing as an ensembled chorale. 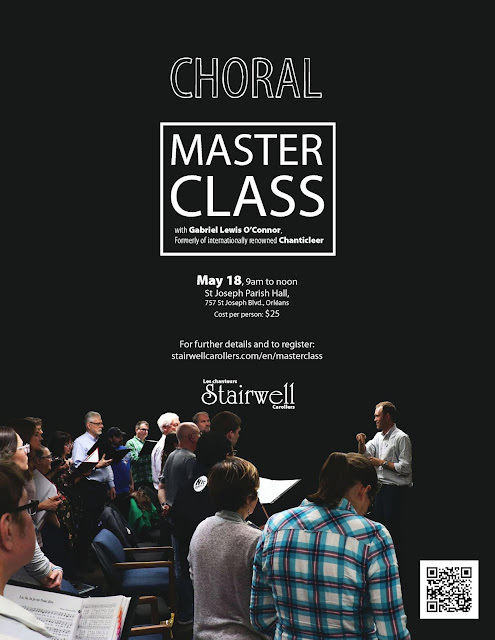 Gabriel Lewis-O'Connor, former member of the world-renowned male chorus Chanticleer, proved to be a most congenial and engaging leader, while at the same time reflective, analytical, instructive and encouraging. He is also a great raconteur: the workshops and the informal gatherings- as if not already spirited enough- were further enlivened by Gabe's wealth of stories! The concluding concert at St John Chrysostom, with choirs from Glebe Collegiate presenting their own pieces and joining with The Carollers and Gabe as soloist in Pierre's arrangement of "Hostias" from Fauré's Requiem, was, surely, an absolute delight for singer and listener alike!"